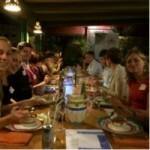 Last year we organized the first YI Collaborative Event, sponsored by Texas Children’s Cancer center. This event in Cape Town was a great success with 100 attendees. Both young and experienced investigators were very enthusiastic about this event and we are looking forward to organize another collaborative event in cooperation with Texas Children’s Cancer center in Dublin 2016. The collaborative event represents a unique chance for young Investigators to meet and exchange with peers in an informal environment. The evening program on 20th October will contain a dinner at a local typical Irish venue and will deliver possibilities for networking and discussions during the evening program. Register on time and come and meet us in Dublin! Join the discussion at the new SIOP YI-NET forum! SIOPYI-NET is very active on social media. 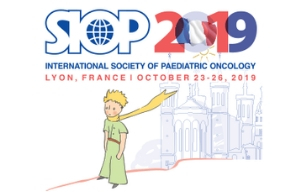 Different platforms have been launched to extend the network of young investigators in all fields of pediatric oncology and to facilitate interaction between young investigators. Meanwhile, our Facebook page has over 1000 followers (1333) and we have 42 followers at Twitter . 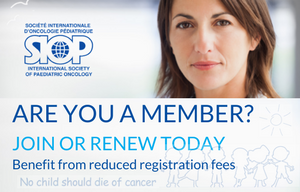 On these accounts we very regularly post on interesting conferences, courses, recently published papers by young investigators, news on the upcoming SIOP YI Educational day and YI collaborative event and much more! In addition, we recently launched our SIOP YI LinkedIn page and already have over 500 connections. So, if you would like to share interesting upcoming events, news on fellowships, write a blog or follow us on social media, contact us via Twitter, facebook or LinkedIn and help extending our network. Following last year’s success at SIOP Cape Town the young investigators have prepared a preliminary program for the young investigators educational day at SIOP Dublin. As last year, the sessions will focus on young investigators and will offer a diverse program with lectures, expert lunches and workshops. Please find the program here. Registration for the educational day will become available through the regular registration process. The lunch sessions and collaborative will require separate registration, please contact us at young_investigators@siop-online.org if you would like to register already for the lunch session or the collaborative event.